Intense pulse light has been taken to a new level with Profile ™ Broad Band Light. This leading non-invasive procedure is safe and offers excellent improvement in sun damage, brown spots and age spots, plus significant reduction in redness, rosacea, and spider veins. This advanced technique is the most effective treatment on the market. The first generation of Photofacials were performed using Intense Pulsed Light (IPL) however DermacenteMD has taken your care to the next level with the more advanced technology called Broad Band Light (BBL). This is an innovative light system that can successfully treat enlarged pores, unsightly broken veins and capillaries and other imperfections or abnormalities on the face, chest, neck or hands. This safe, non-invasive procedure can be tailored to treat your individual condition and skin type. Best of all, it yields long-time results with no downtime. Patients can resume normal activities and return to work the same day of the procedure. Once a cold gel is applied to the treatment area, pulses of light are gently applied to your skin. You may feel a slight sting, similar to the snapping of a rubber band. While an anesthetic cream is not usually required, we may apply it to reduce any discomfort. 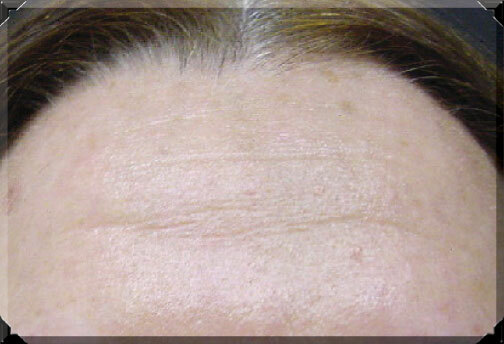 Each treatment, which takes about 20 minutes, is usually given in a series of sessions. Depending on the severity of the condition, a series of five to six sessions may be needed. 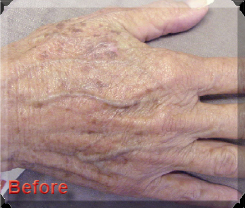 BBL enhances the skin to its deepest layer. Following a series of treatments, you will see a significant change to the treated area and smoother, more refreshed skin. 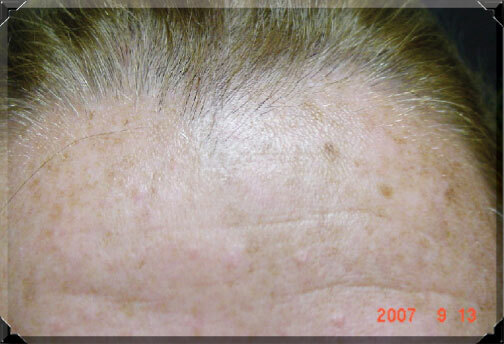 “I saw a reduction in my brown spots after just one treatment." 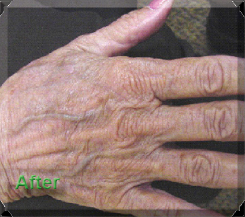 “My hands no longer tell my age- they look great." “This was the best thing I could have done for me. I look and feel younger"